Over the last couple years, I’ve torn hundreds of pallets apart. 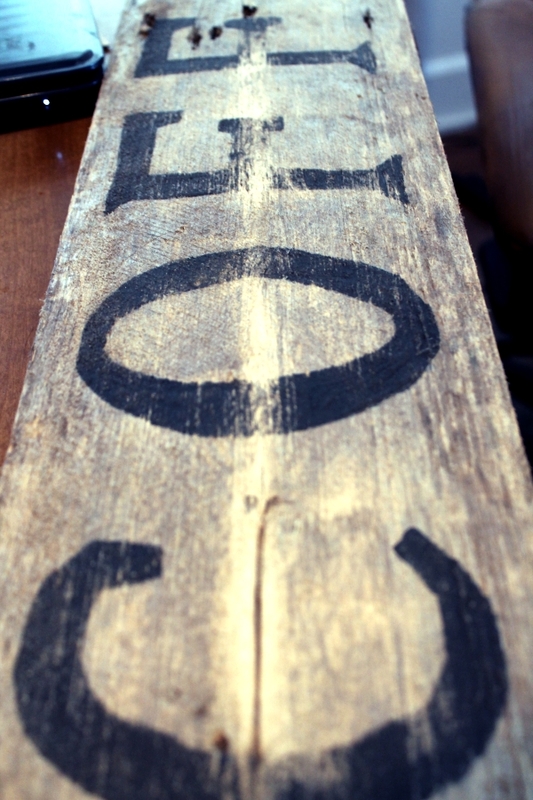 And, while tearing the pallets apart I occasionally come across a board or two that would make an awesome sign. 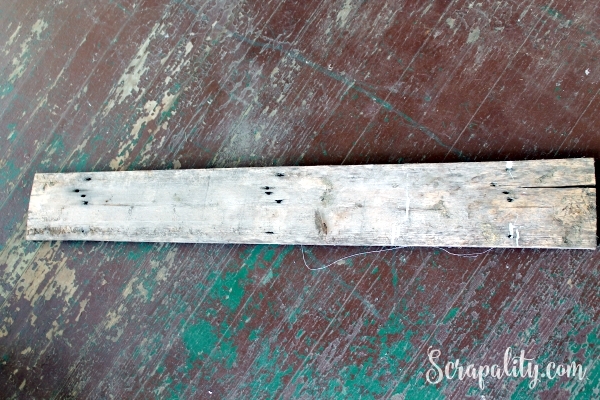 They’re usually rough, dented, chipped and cracked. 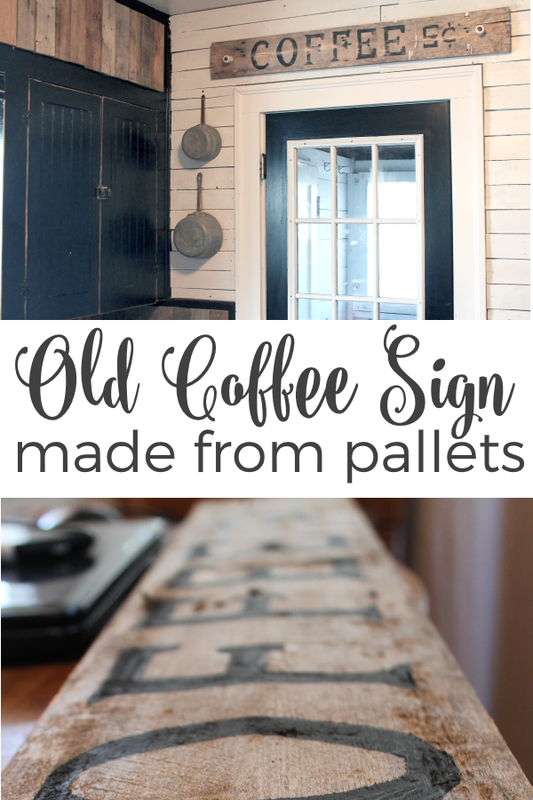 They’re not something I would use to build a shelf or cabinet, but they would make the best old coffee sign. 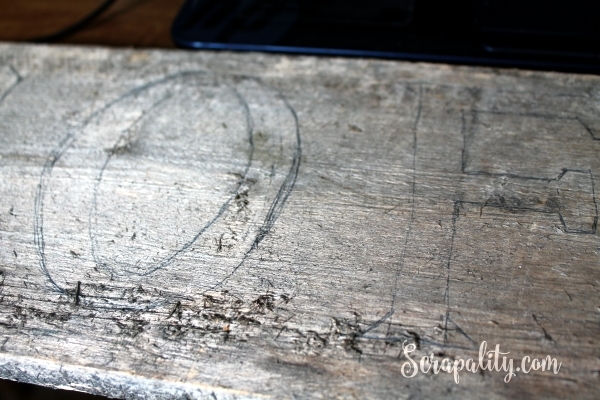 That’s exactly what crossed my mind when I stumbled upon this beautifully distressed pallet board. The board! Rustic to the point of deliciousness. After the paint dried, I removed some of the paint using a palm sander. 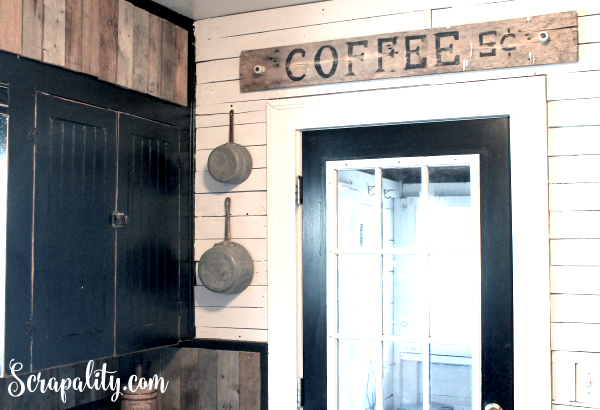 Then, I hung my old but new coffee sign above the door using old insulators pulled out of the basement. I’m so glad they never removed them from the basement. This is so cute Andrea! Great idea and it turned out beautifully. Thank you, Carrie. Thanks for stopping by. Great sign Andrea! 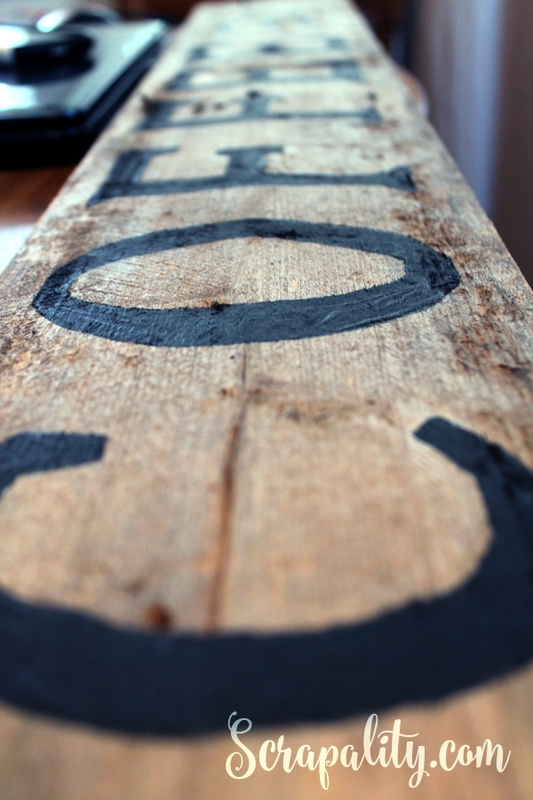 You always take pallet design up a notch–love it! Thanks for sharing @Vintage Charm! Thanks, Cecilia! Hope to see you tomorrow at Scraptastic Saturdays. Free hand painting is an art form and your letters turned out beautiful! As a coffee addict I LOVE your sign. Great job! Thanks for the wonderful comment. Distressed signs don’t always need crisp beautiful letters. Grab a brush and join me! It would look great over a coffee station! Thanks for stopping by. What a genius idea! I can’t wait to start creating some Christmas presents using this concept! Thank you for sharing! Christmas (omg) will be here before we know it! Thanks for stopping by and leaving a comment. This turned out beautifully! I’d love to make a sign like this for my future coffee bar. Thanks for the idea and for sharing at Merry Monday! Hope to see you again next week! Love this, Andrea? Do you ship? (hee-hee). Thanks so much for sharing at Inspiration2. Hugs. Ha Ha, Kelly! Thanks for stopping by hun. I love your sign, great job! Thanks, I’m a huge fan of rustic decor. Stop back anytime! Oh that is great! Thanks for joining Home Sweet Home! I can’t even tell you just how much I love this – AWESOME job! Thanks, Gina! I’m thankful you stopped by. Thanks for pinning and stopping by!